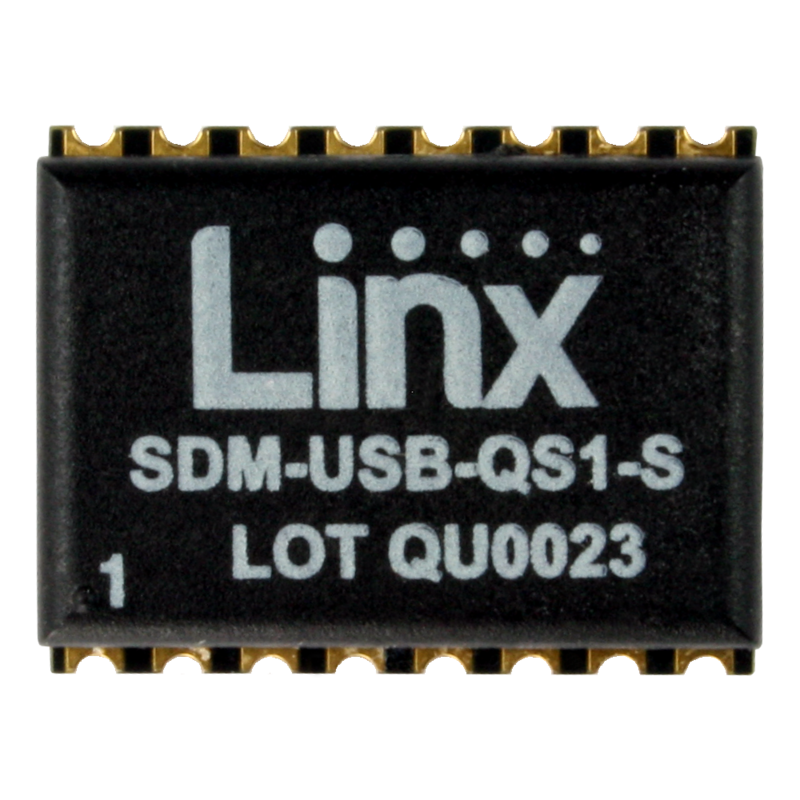 The QS Series USB module allows the rapid addition of USB to virtually any device. Housed in a compact SMD package, the module provides a complete solution for converting data between USB and CMOS / TTL logic level serial sources. Connect your device to a USB port with the QS Series USB interface module. Use it to set up communication between a PC and a serial device such as a microcontroller, Linx RF module or legacy peripheral that has no native USB port.